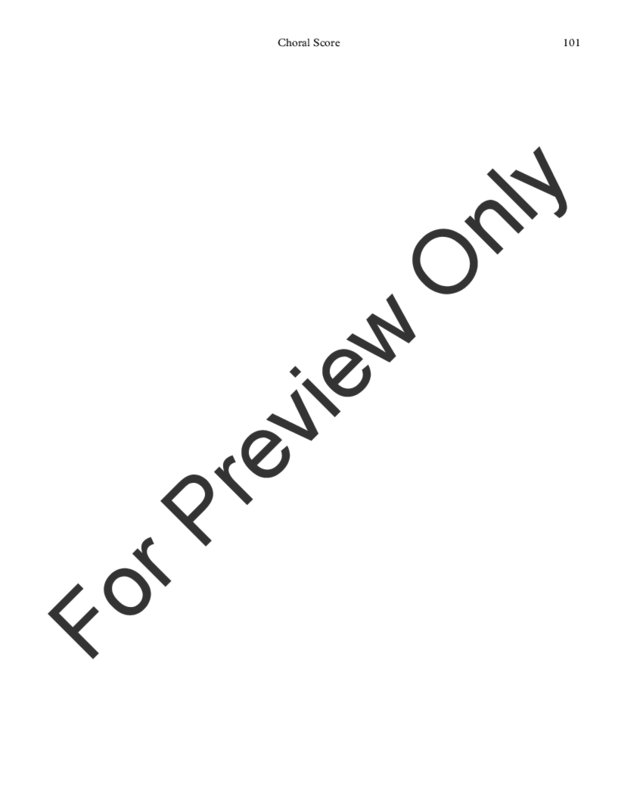 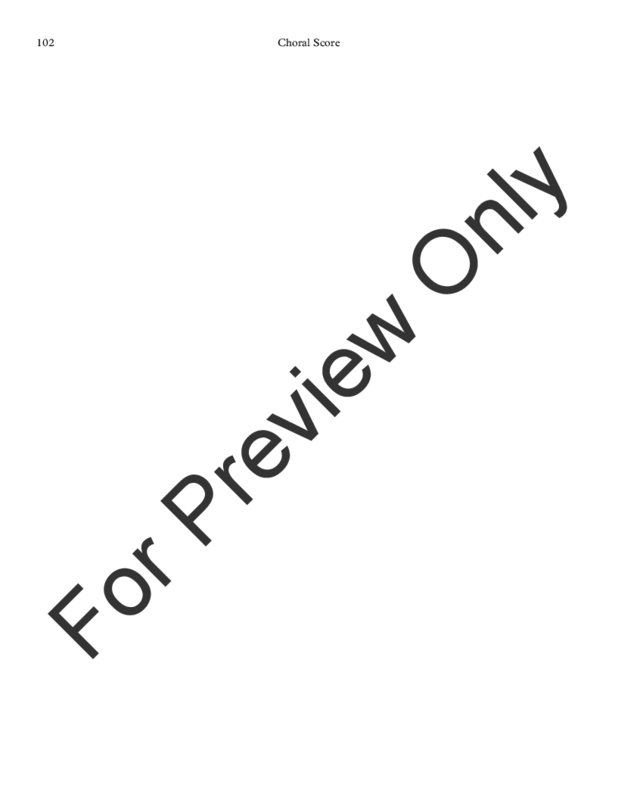 Publisher Desc. 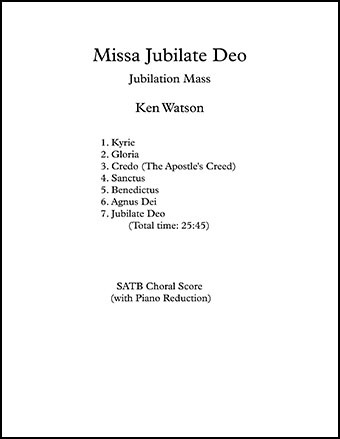 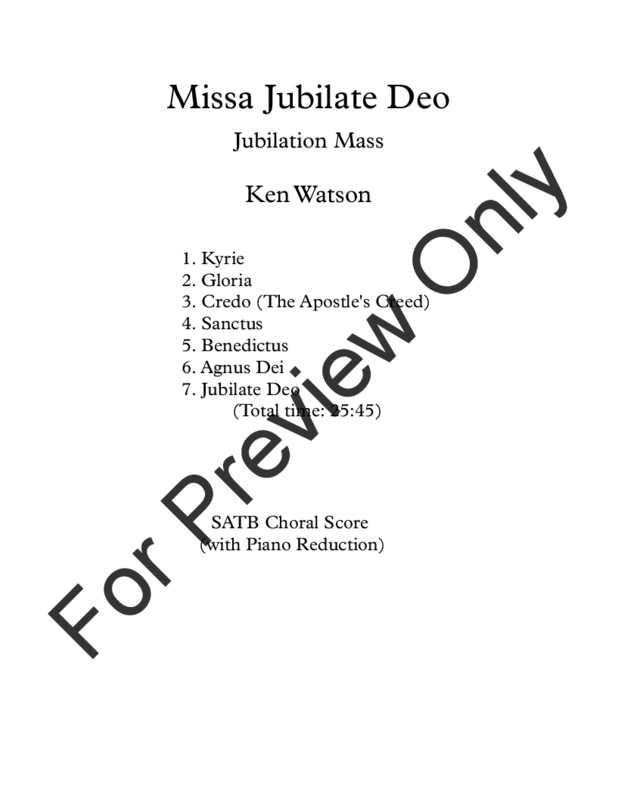 This is a very lyrical setting, in English, of the Ordinary of the Mass, plus a Jubilate Deo, in seven movements. It is fully orchestrated (1d1,1,1,1 - 1,1,1,1, timp, perc, str). 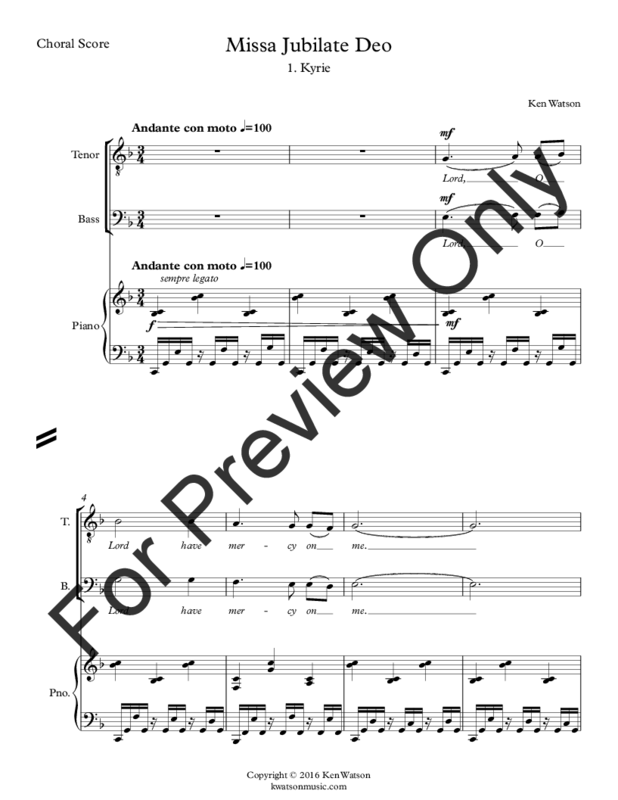 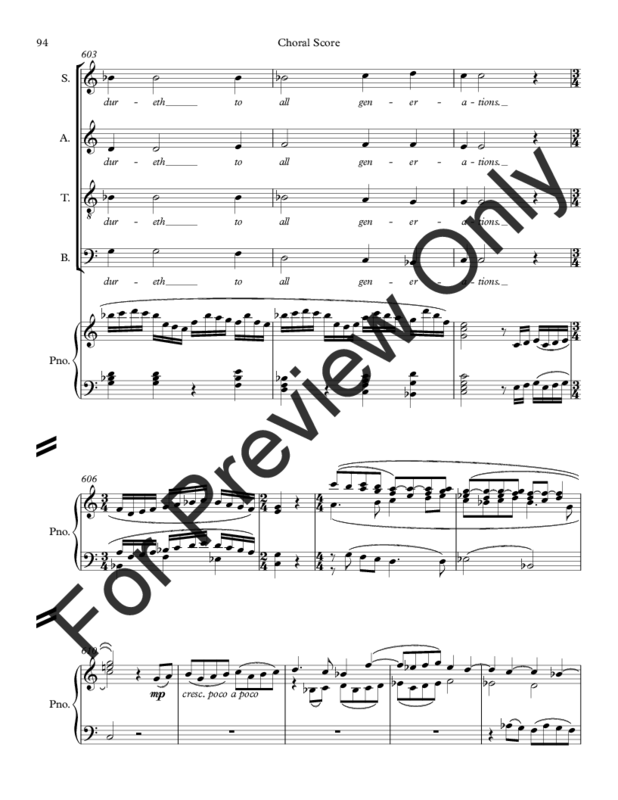 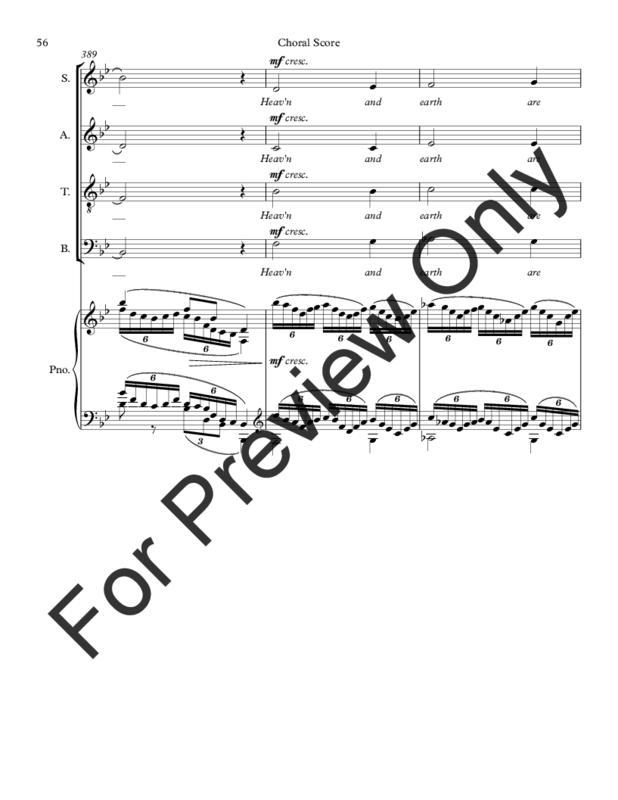 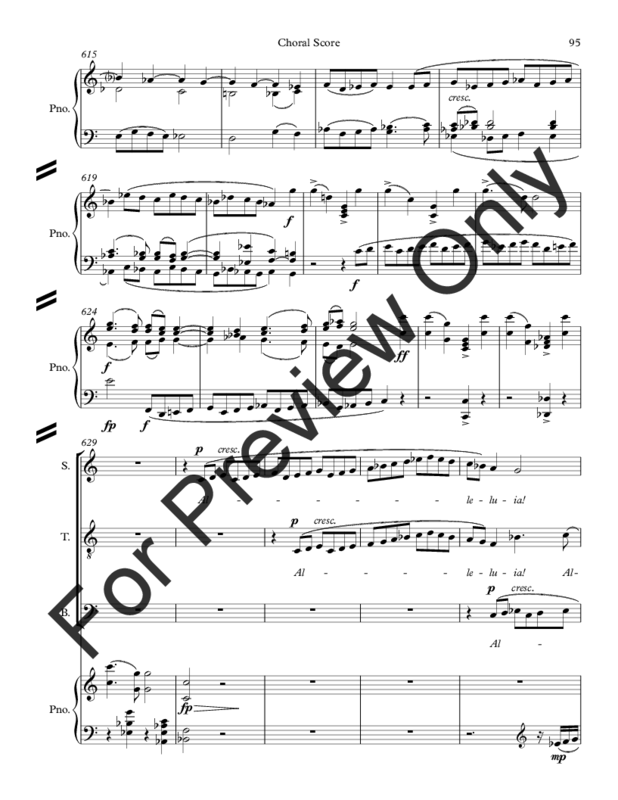 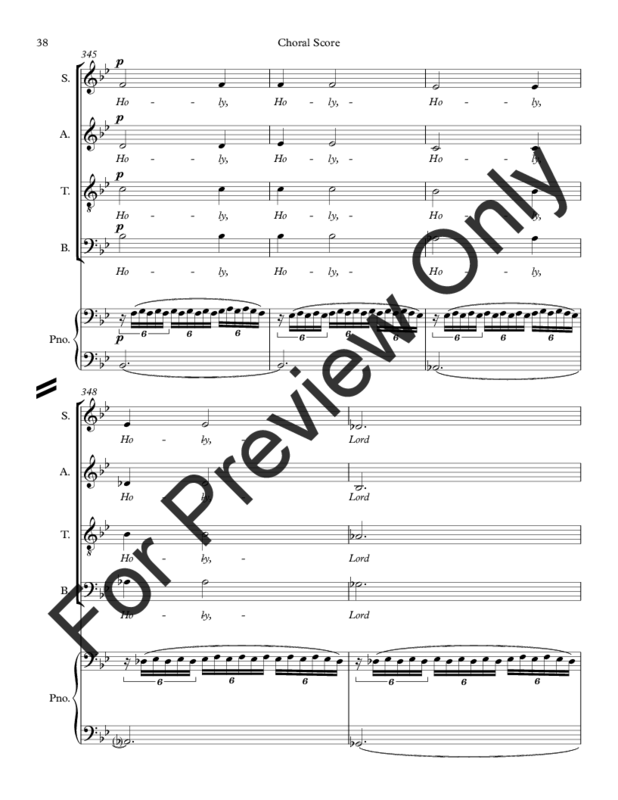 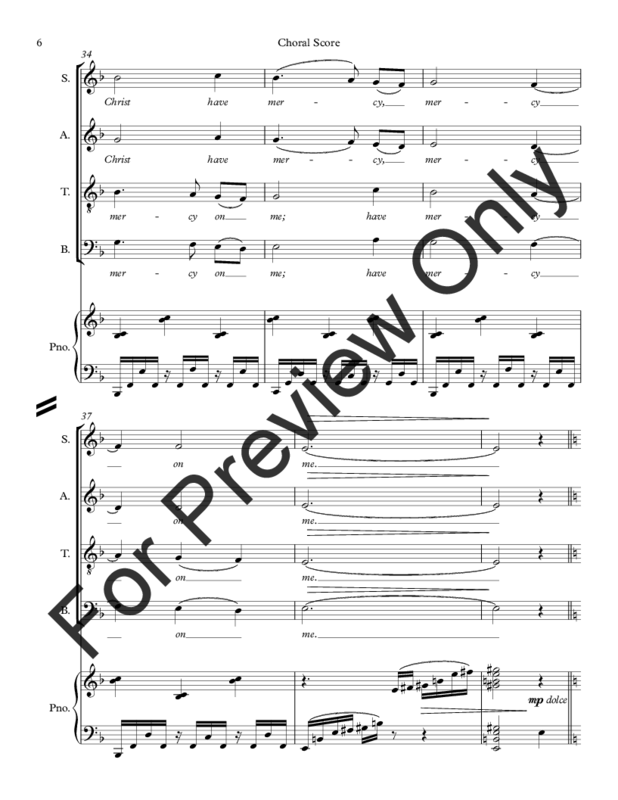 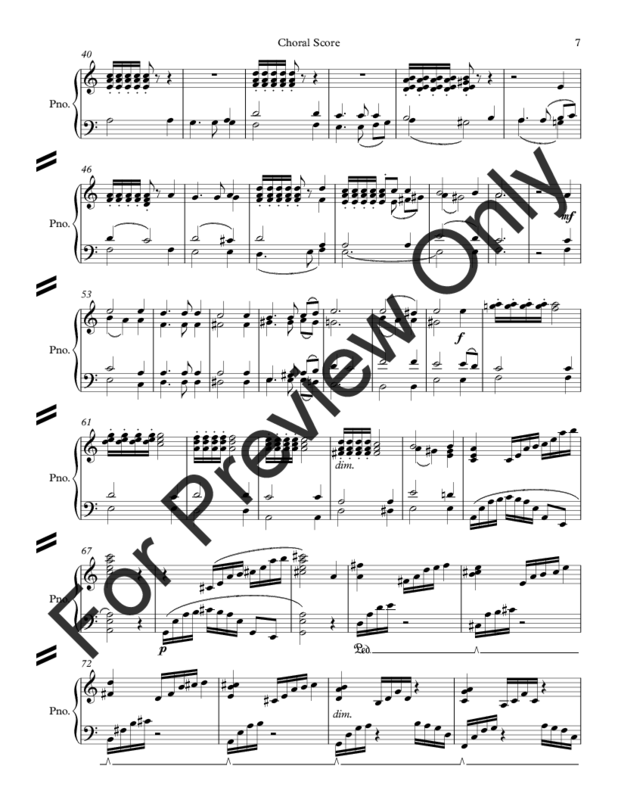 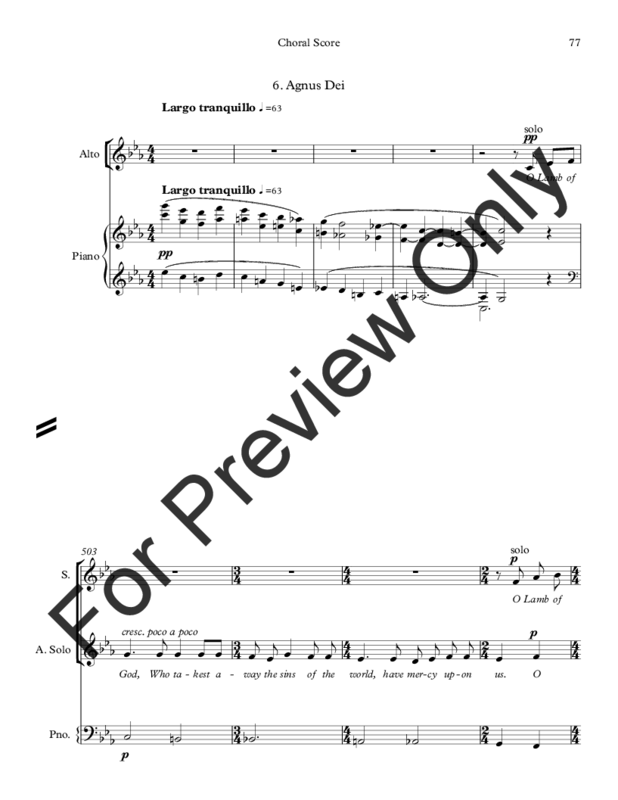 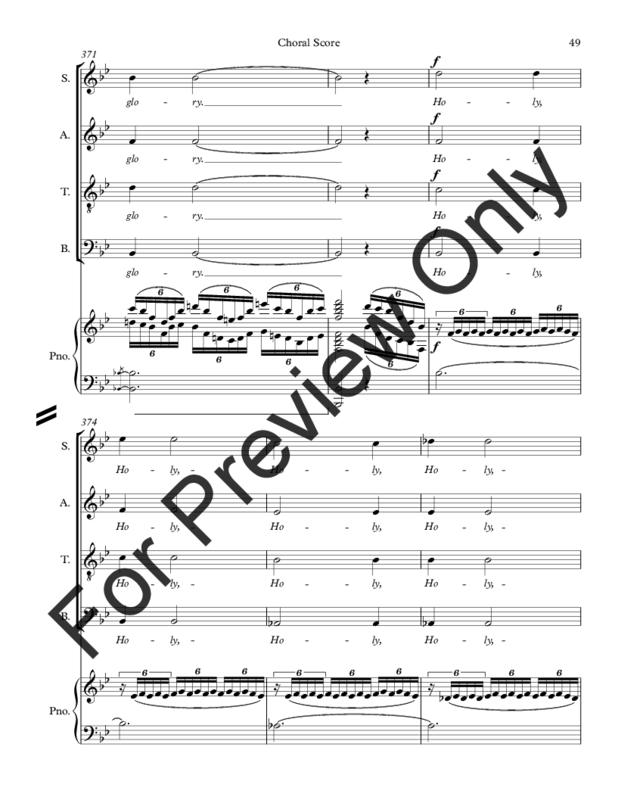 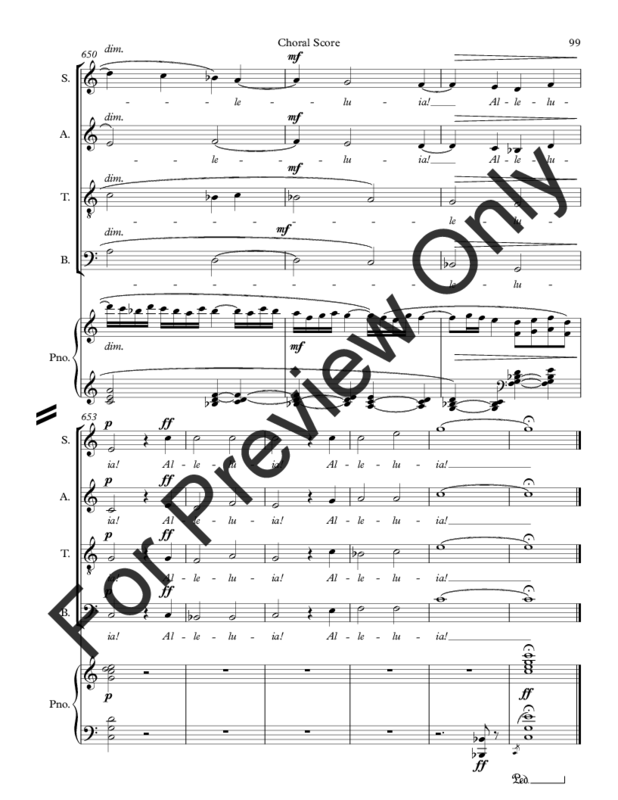 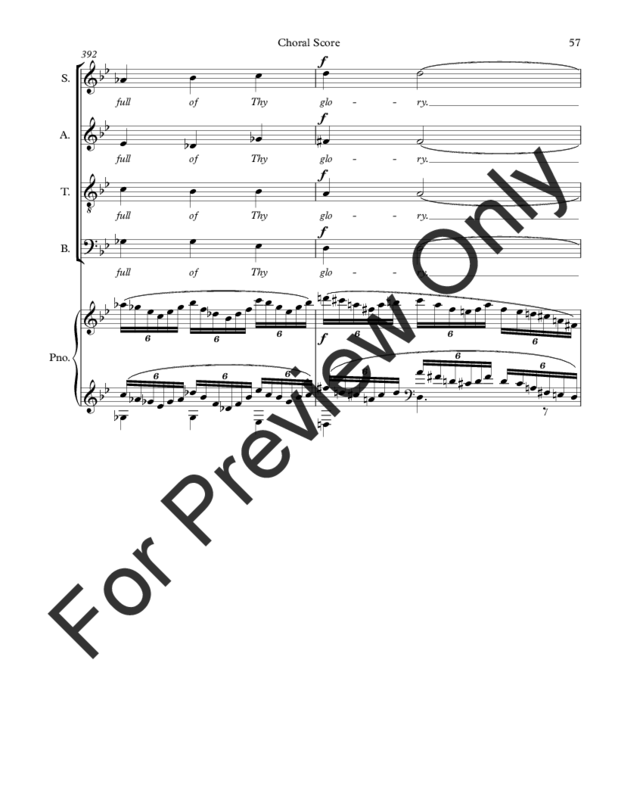 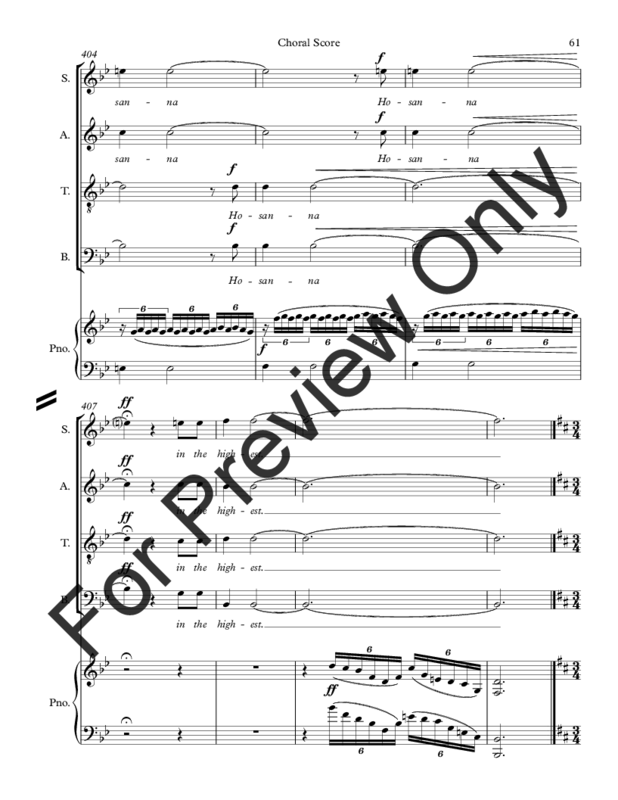 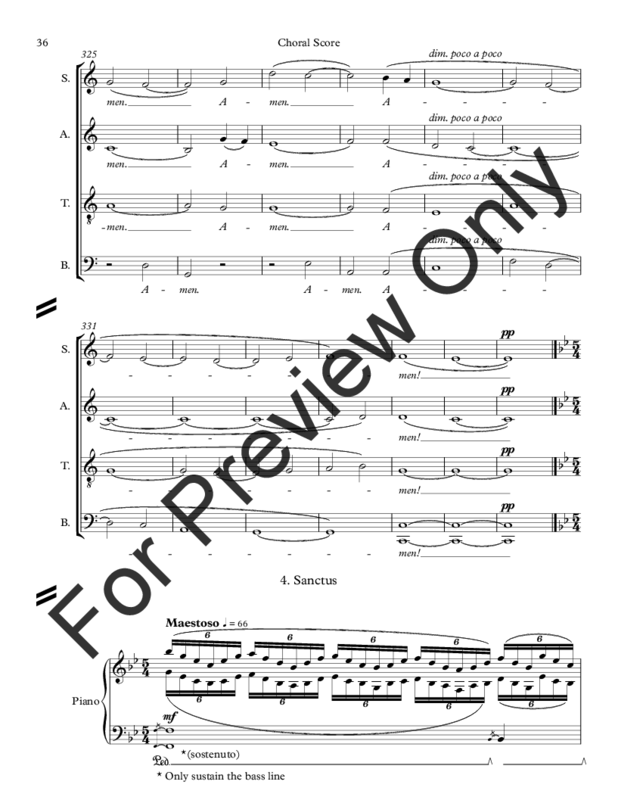 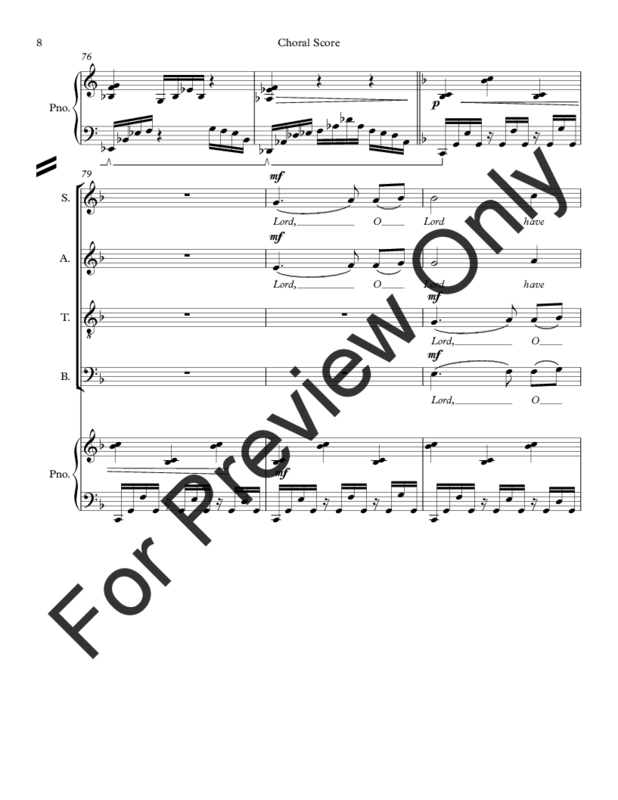 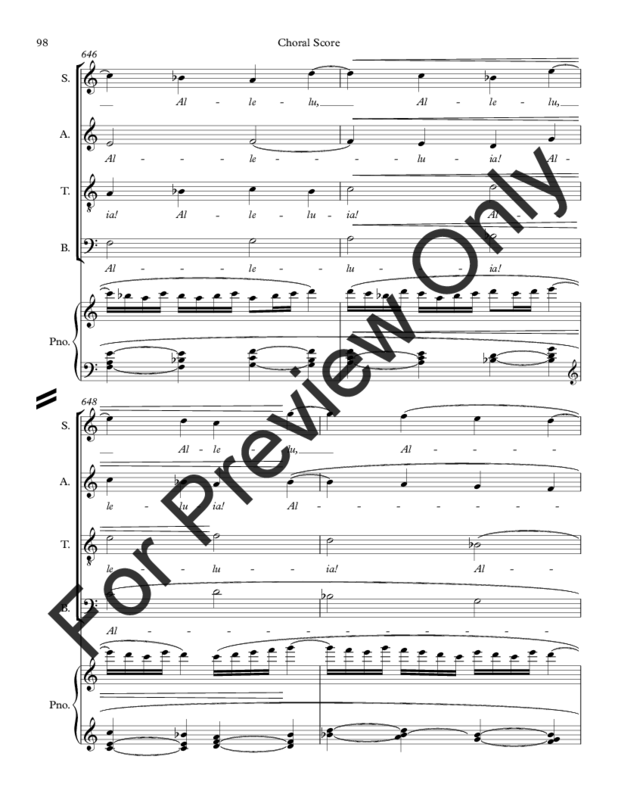 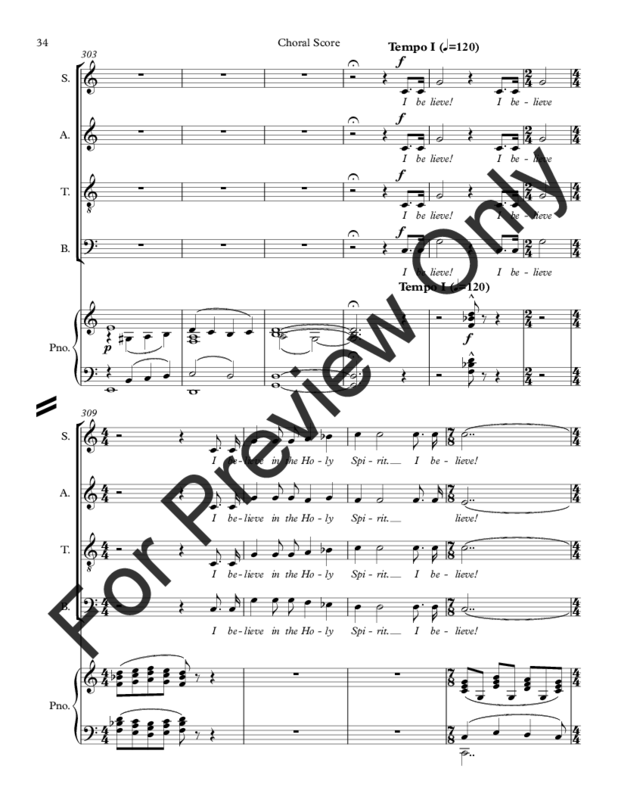 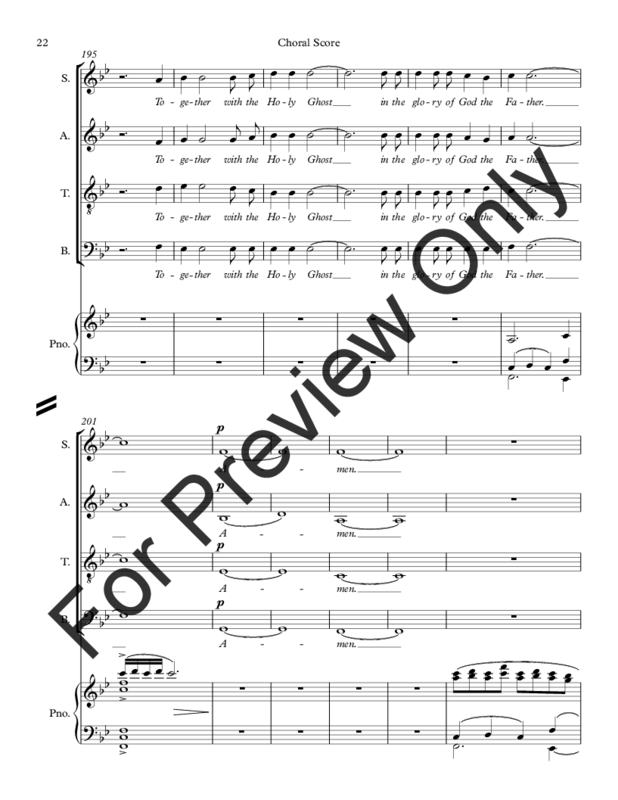 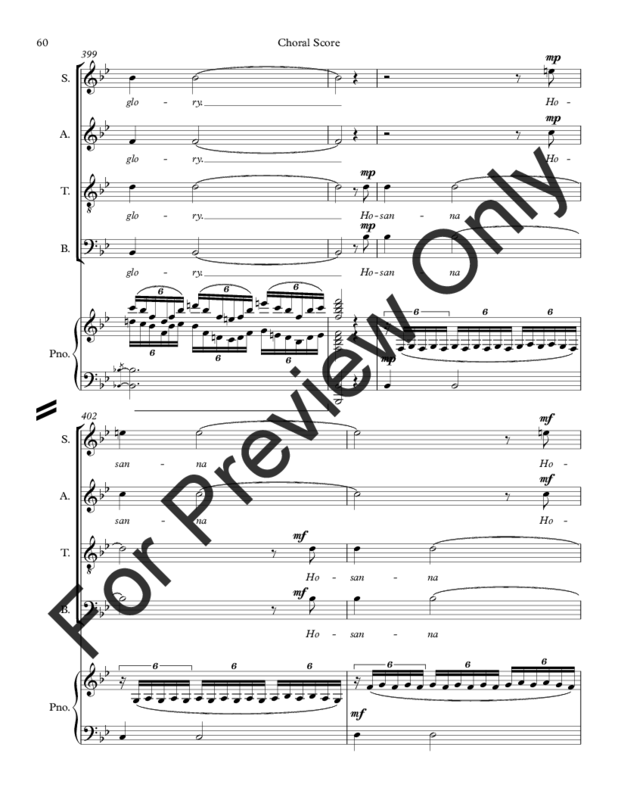 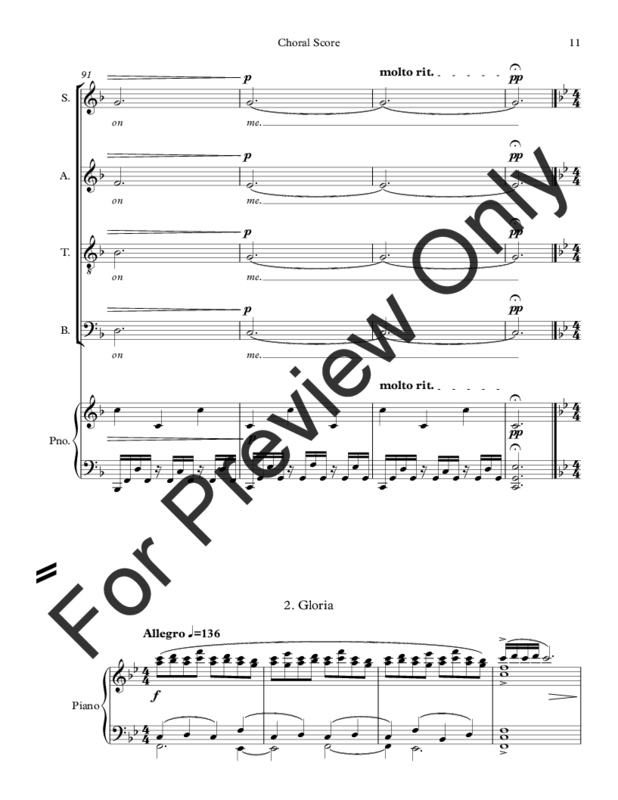 The choral score includes a keyboard reduction for rehearsal purposes. 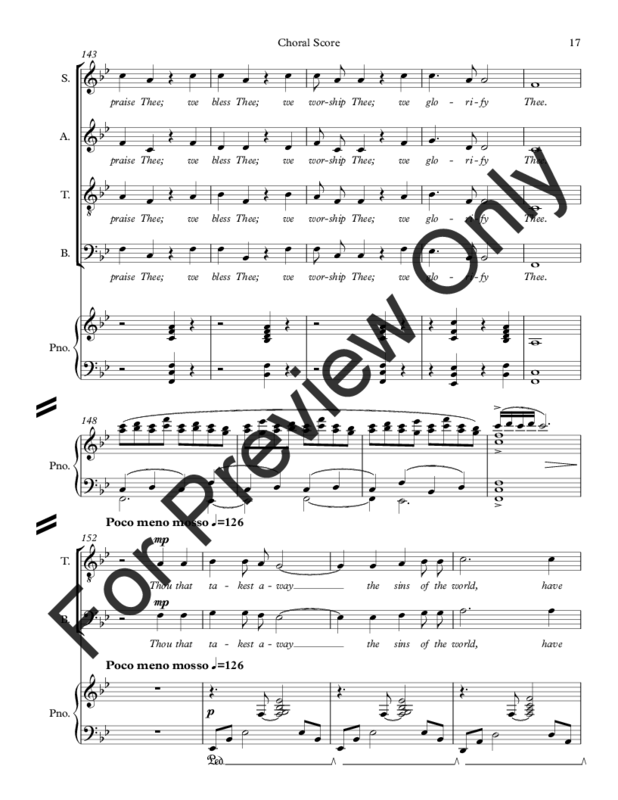 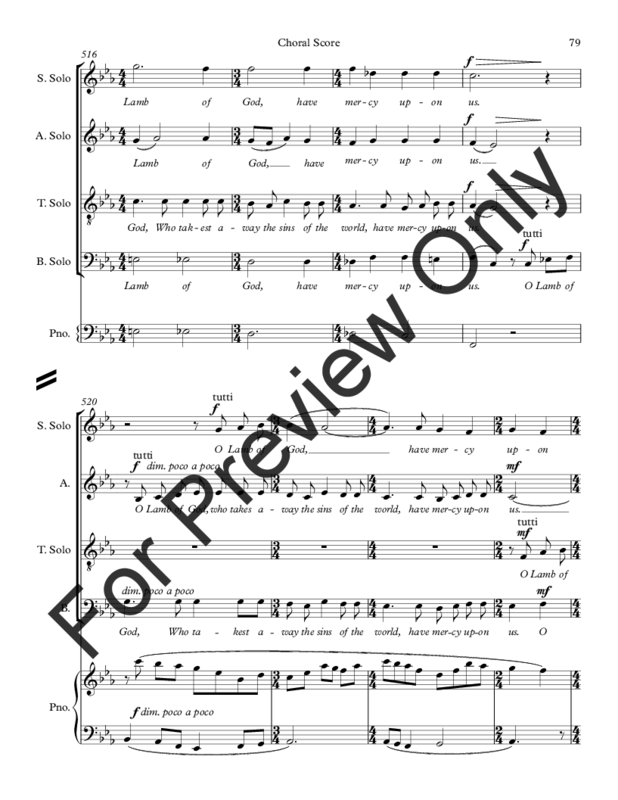 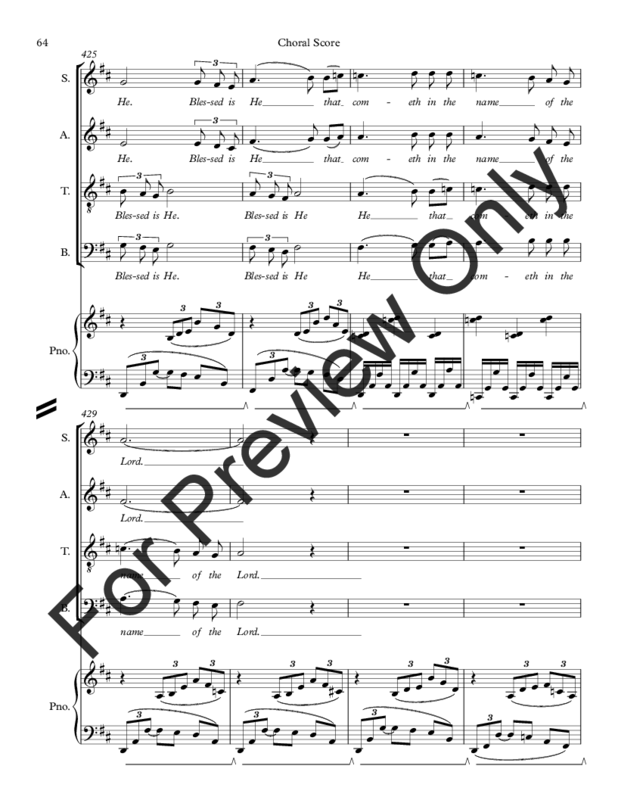 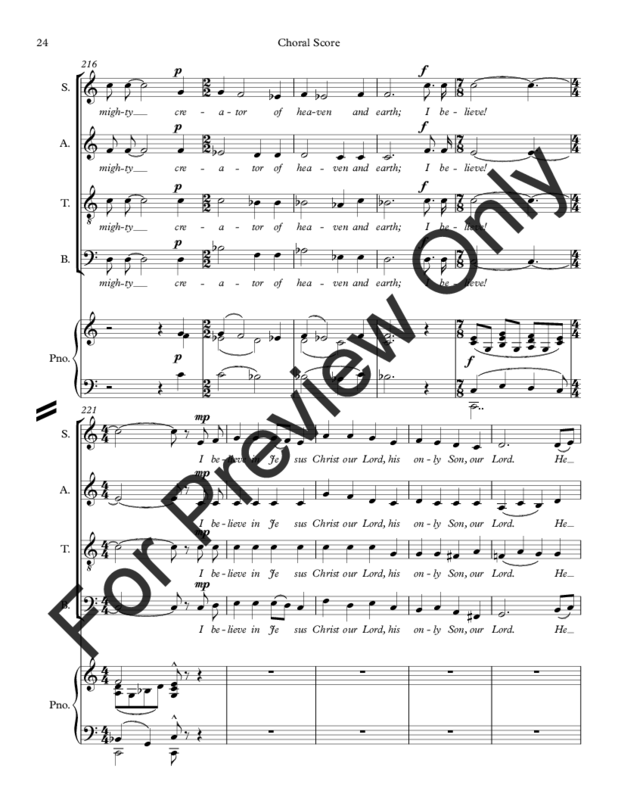 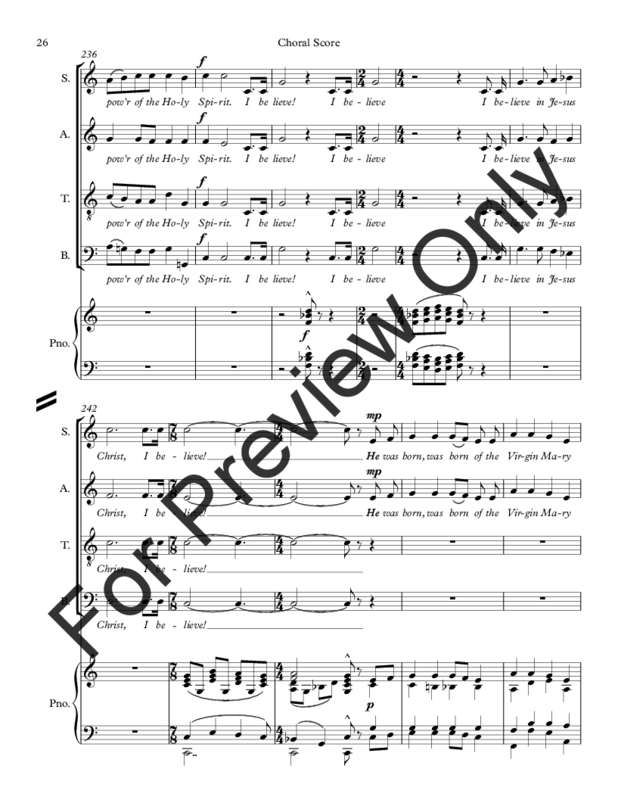 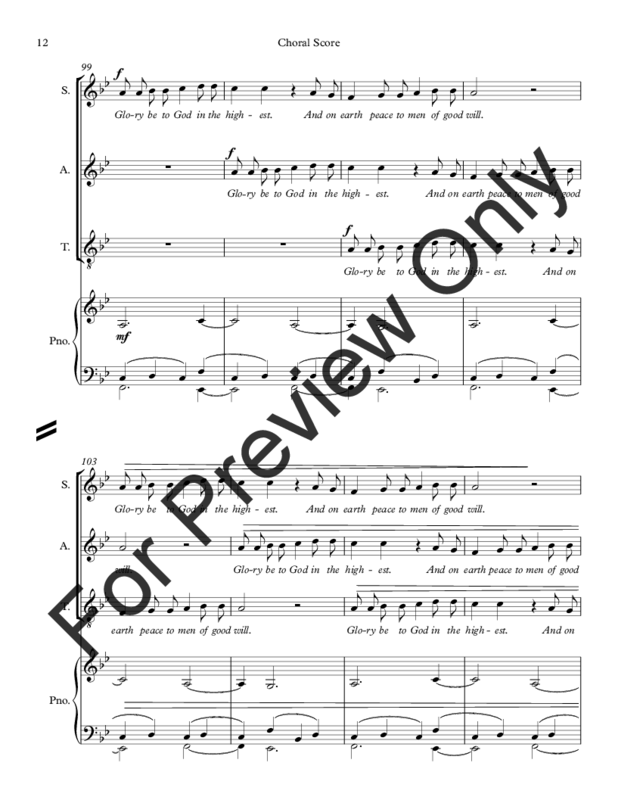 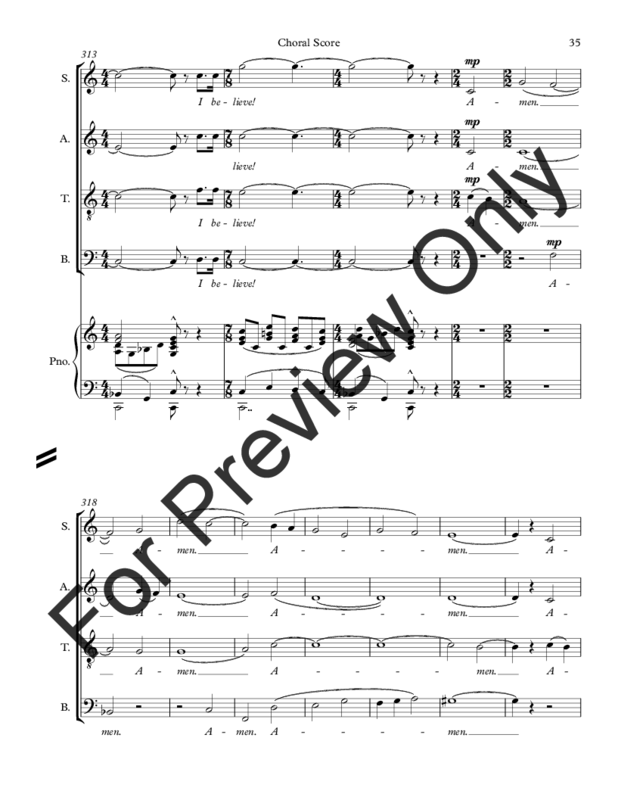 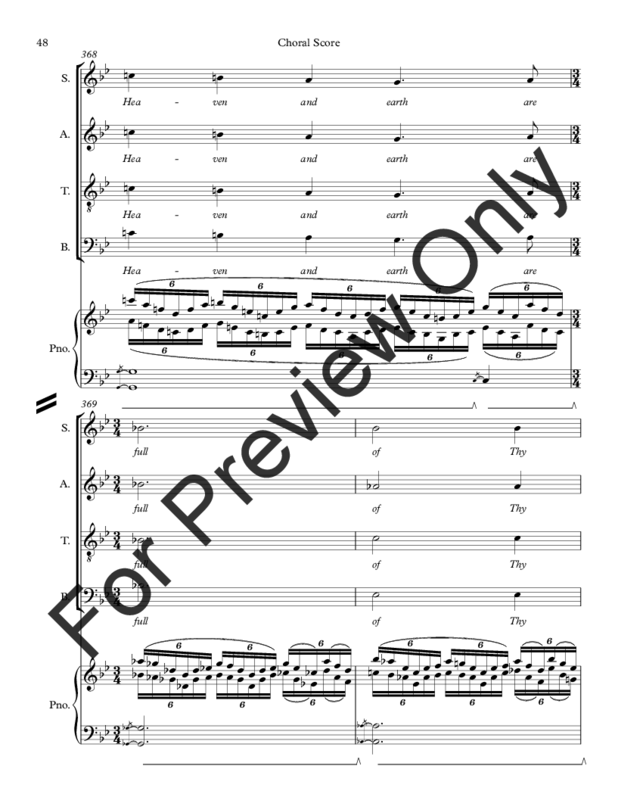 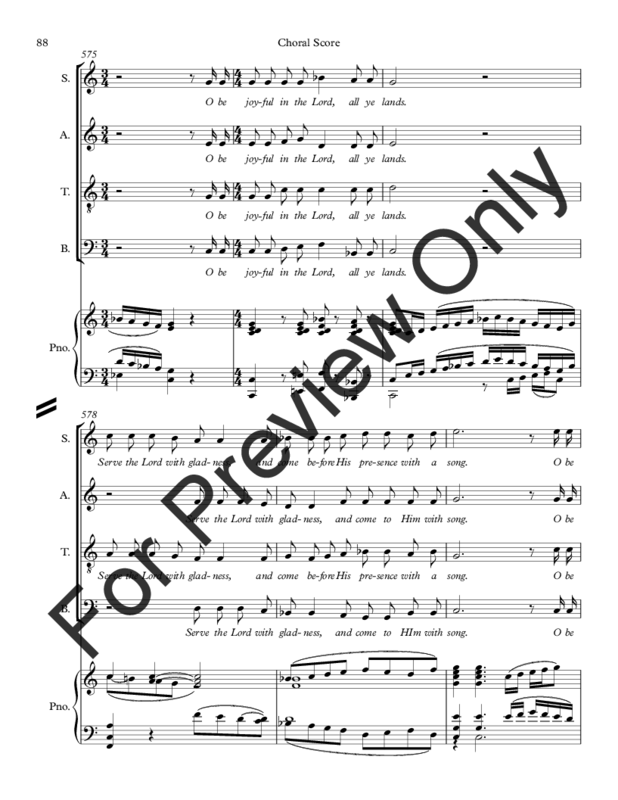 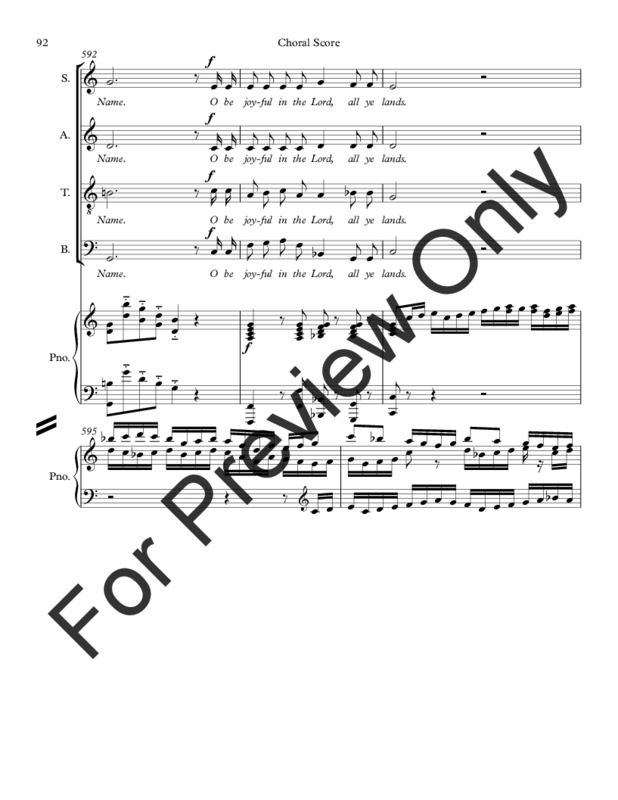 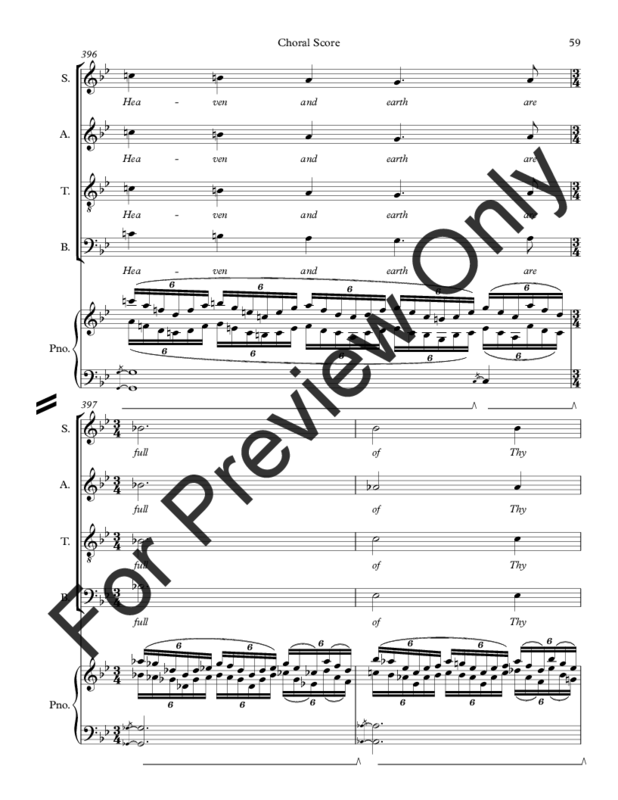 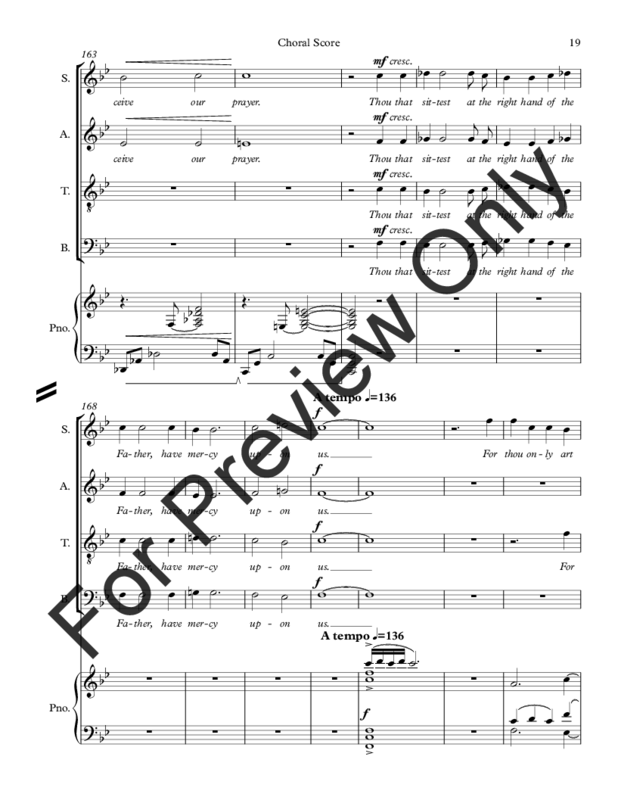 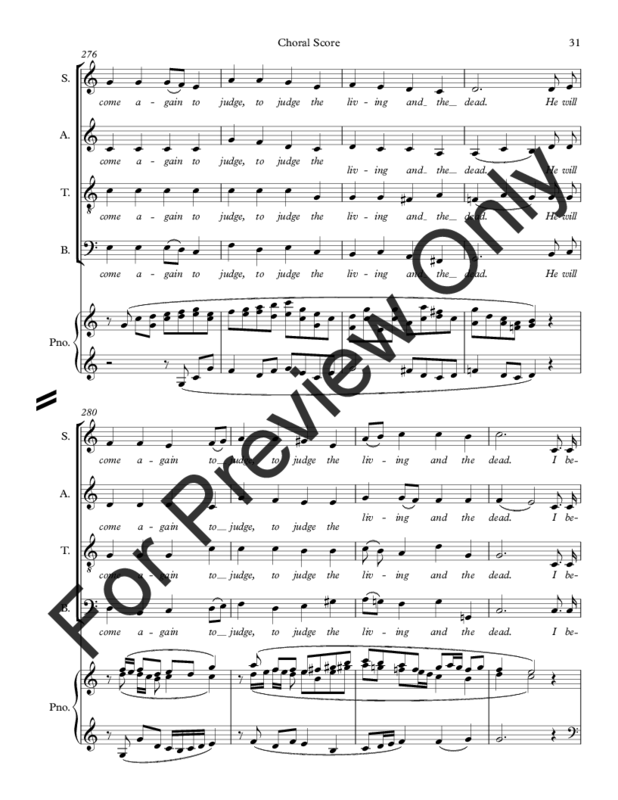 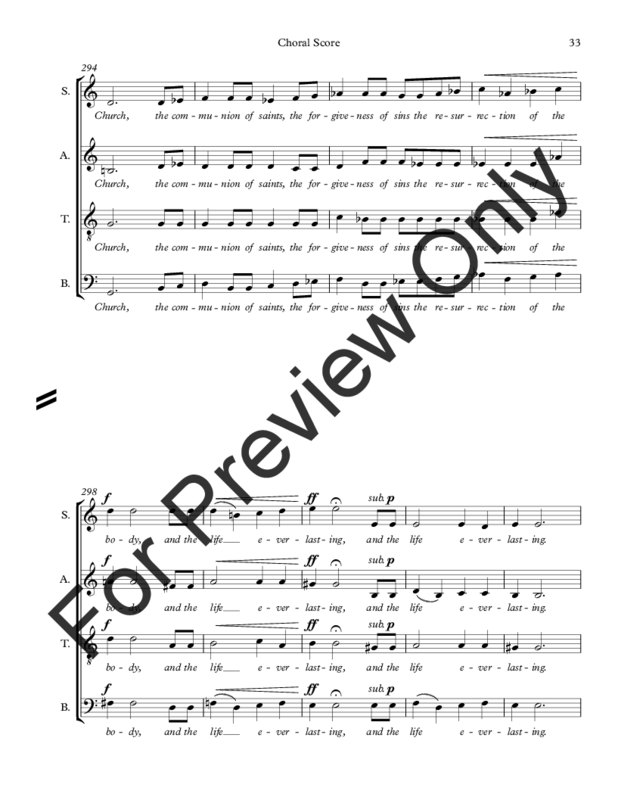 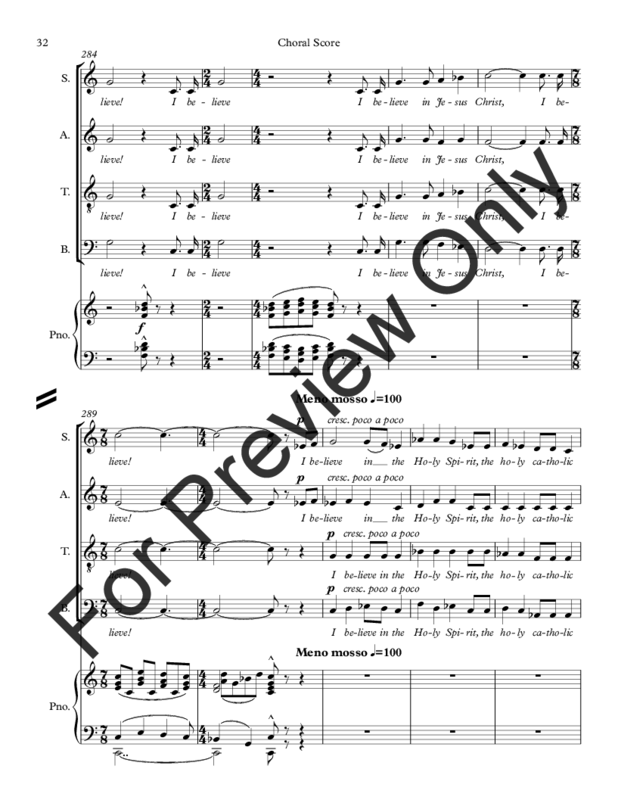 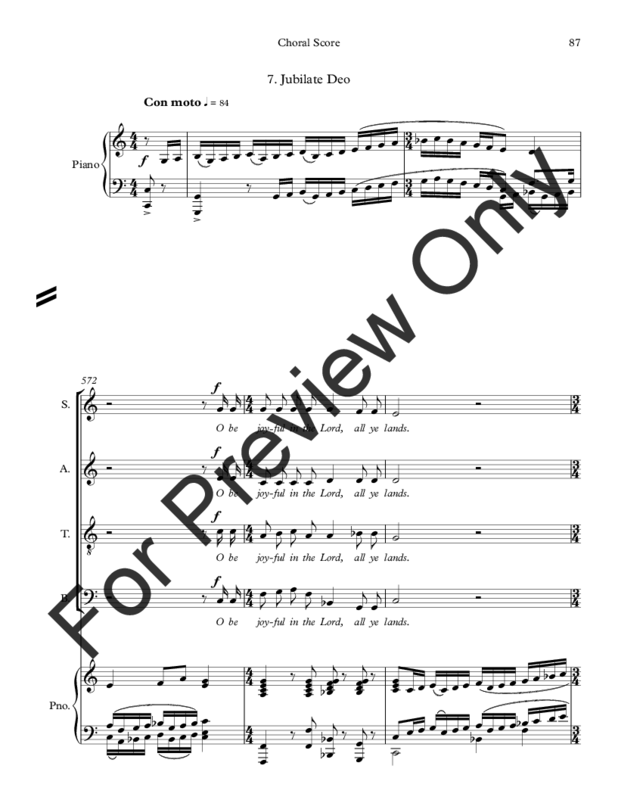 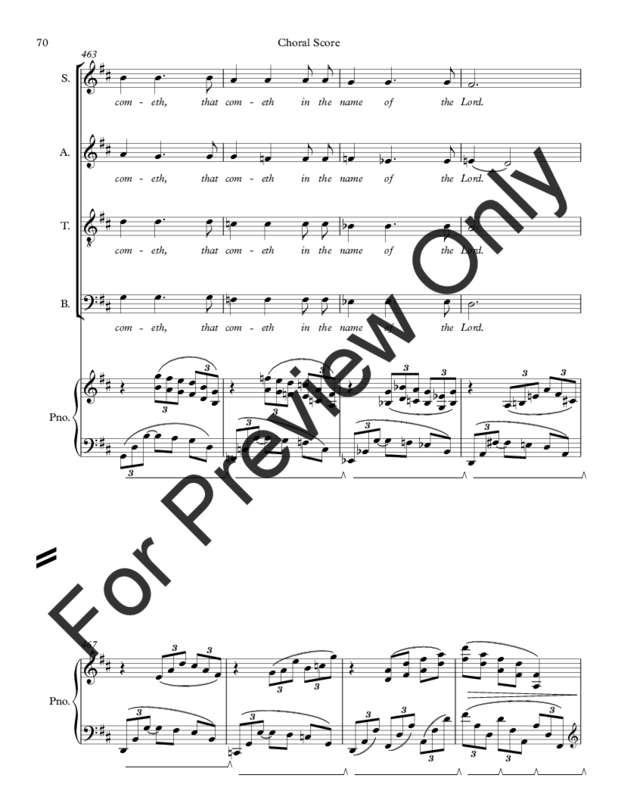 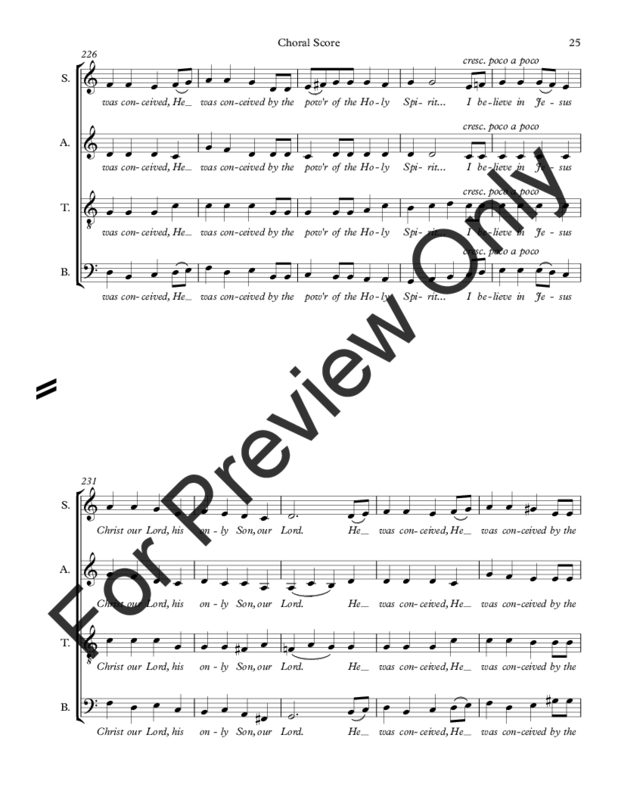 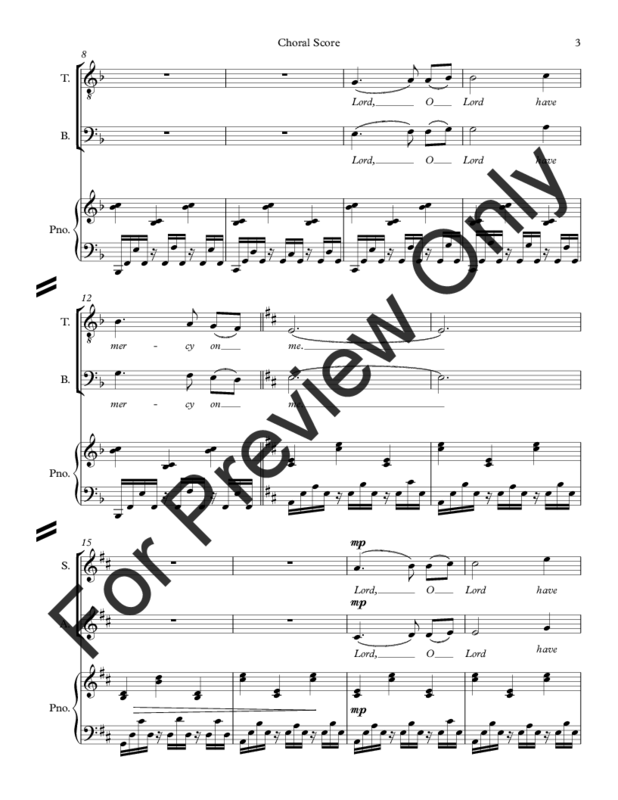 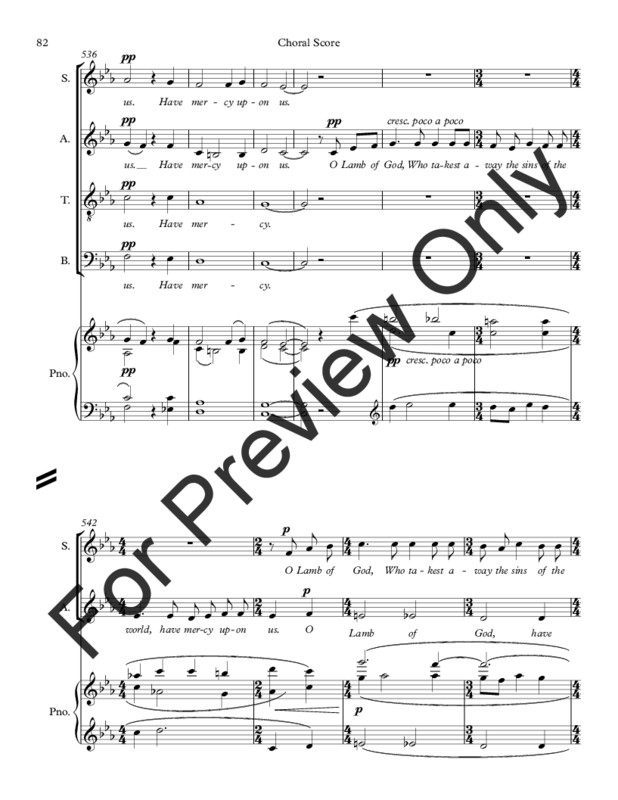 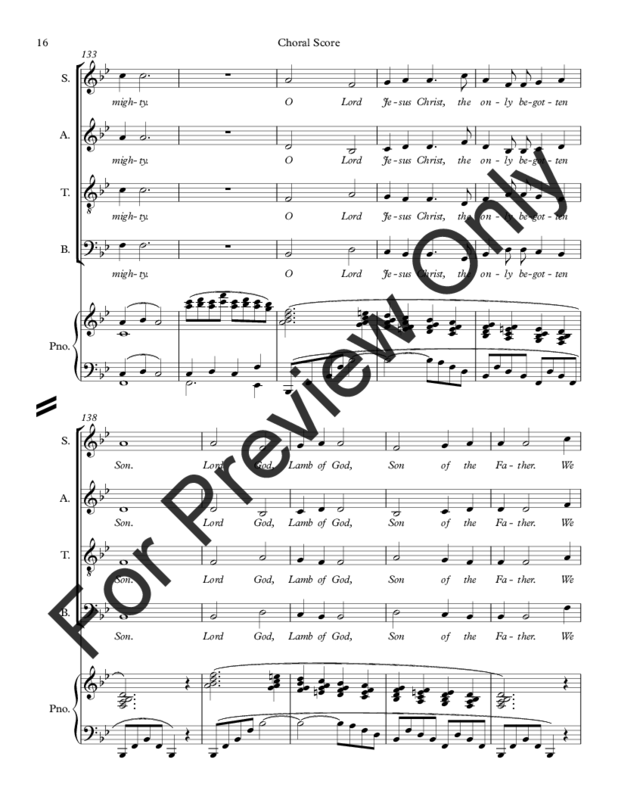 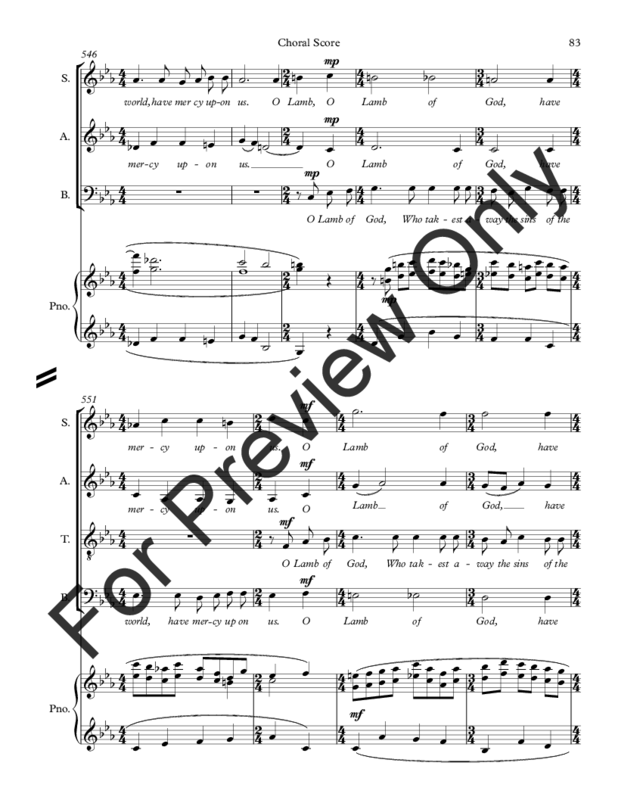 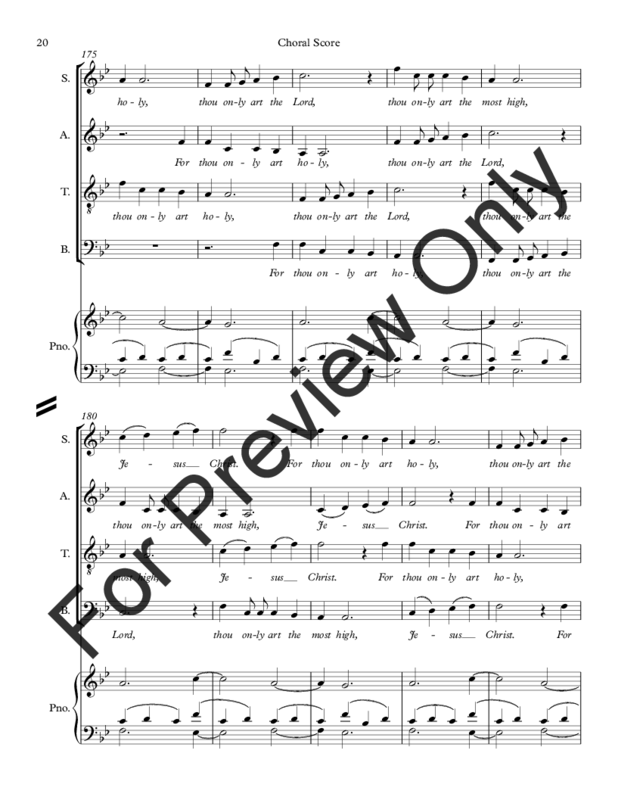 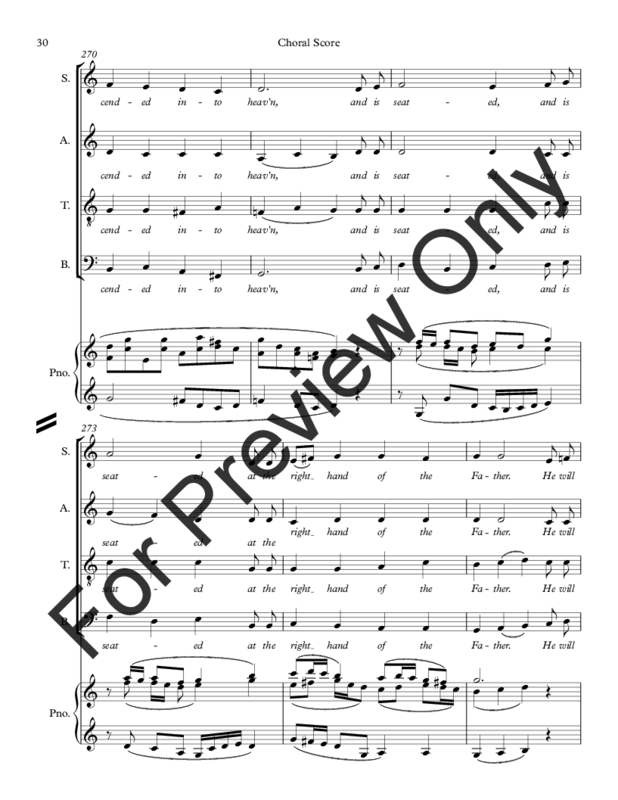 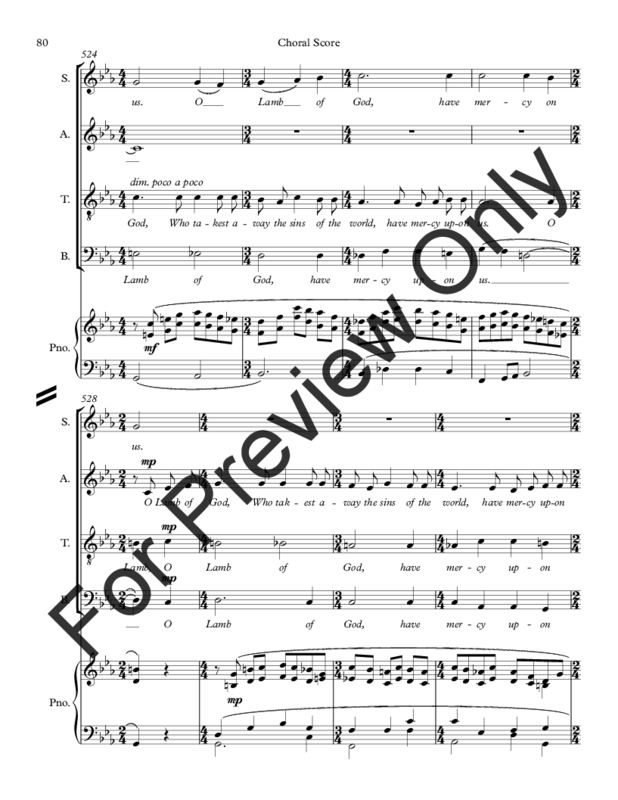 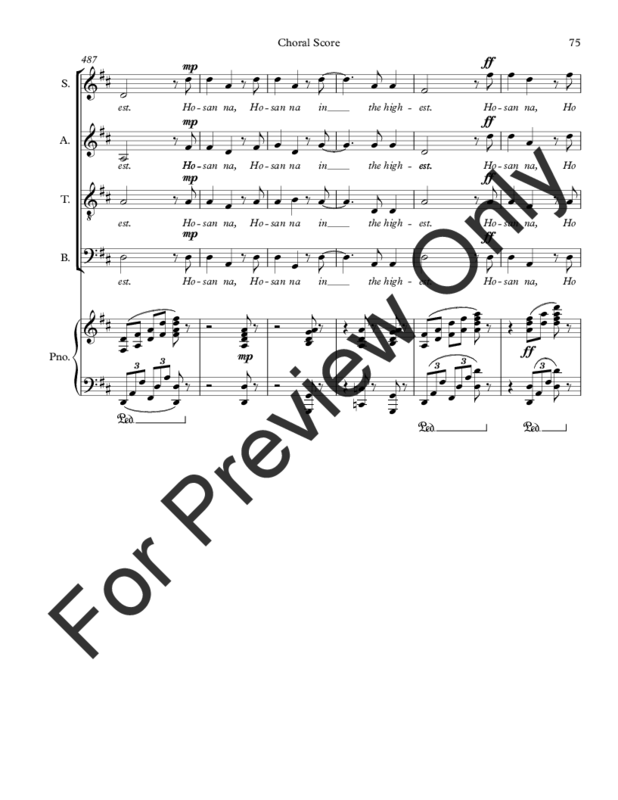 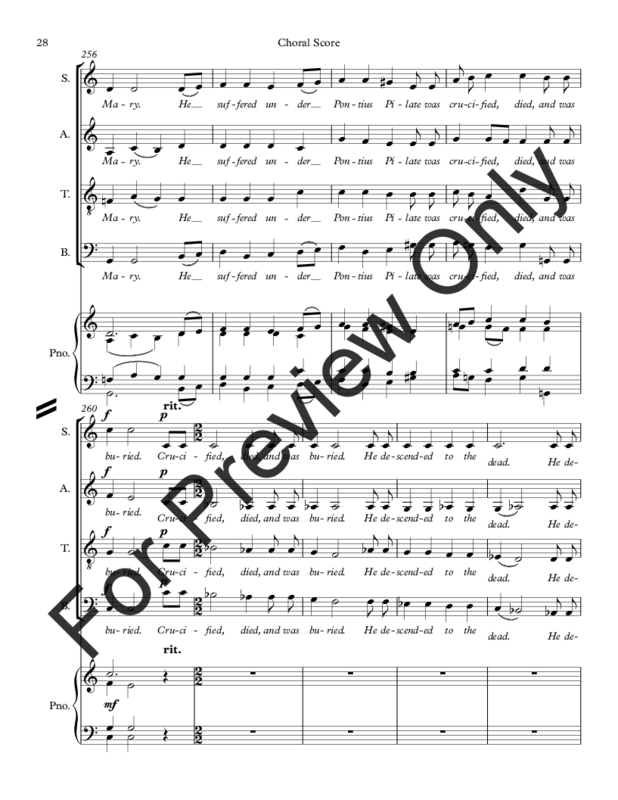 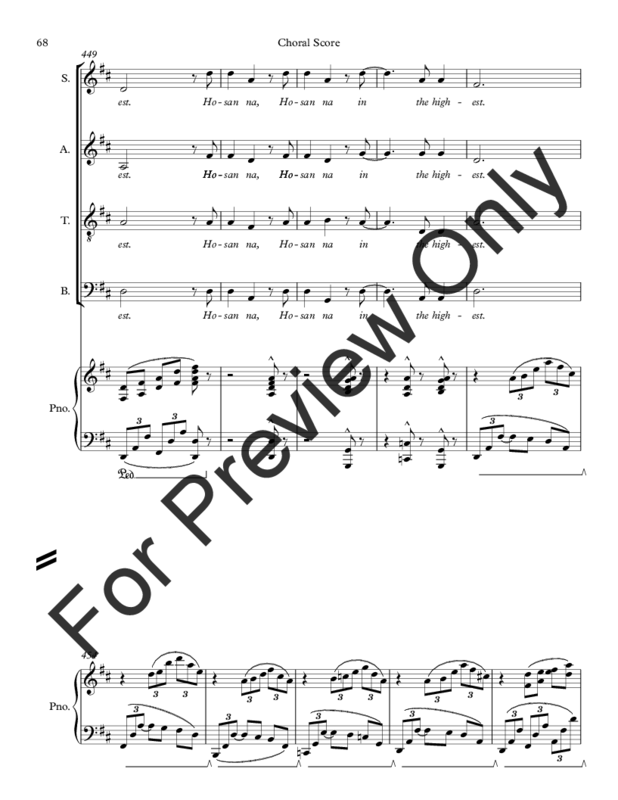 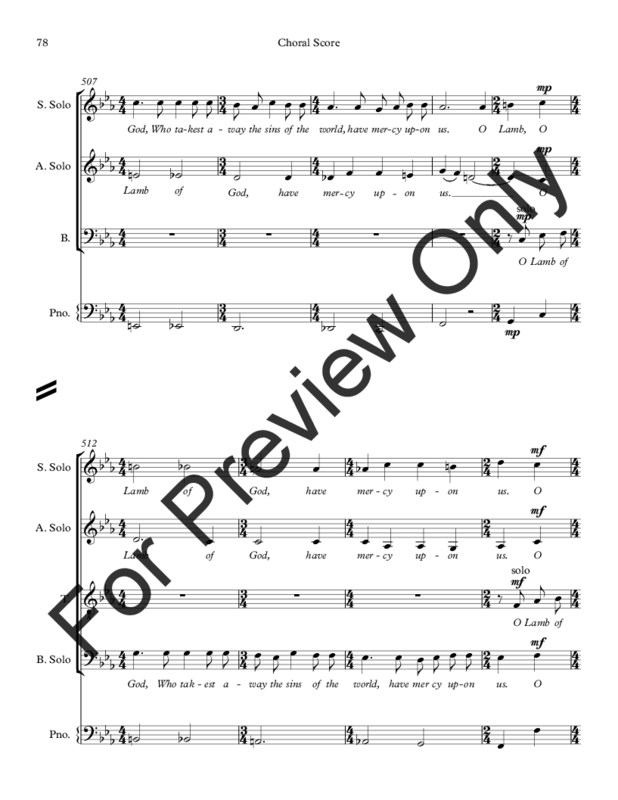 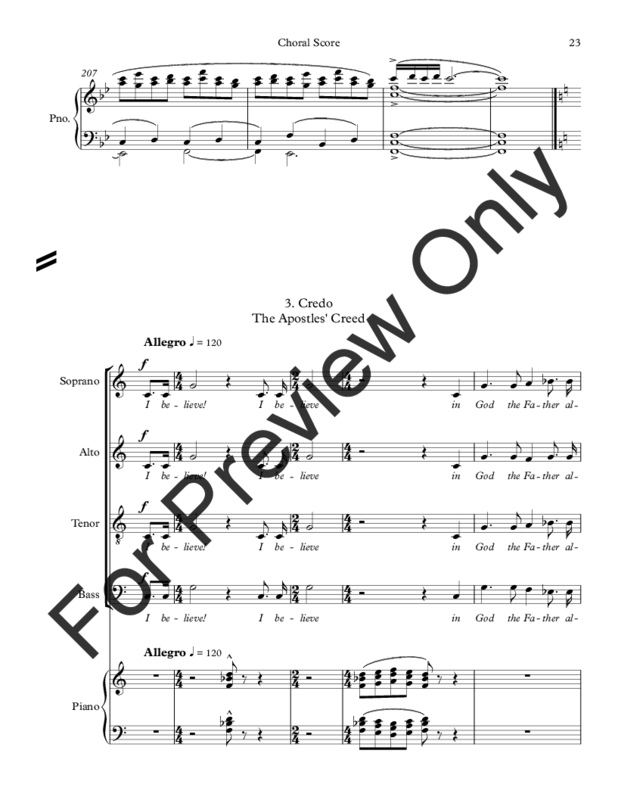 Written as a concert piece, it has been performed both in concert and in worship in Anglican and Episcopalian services. 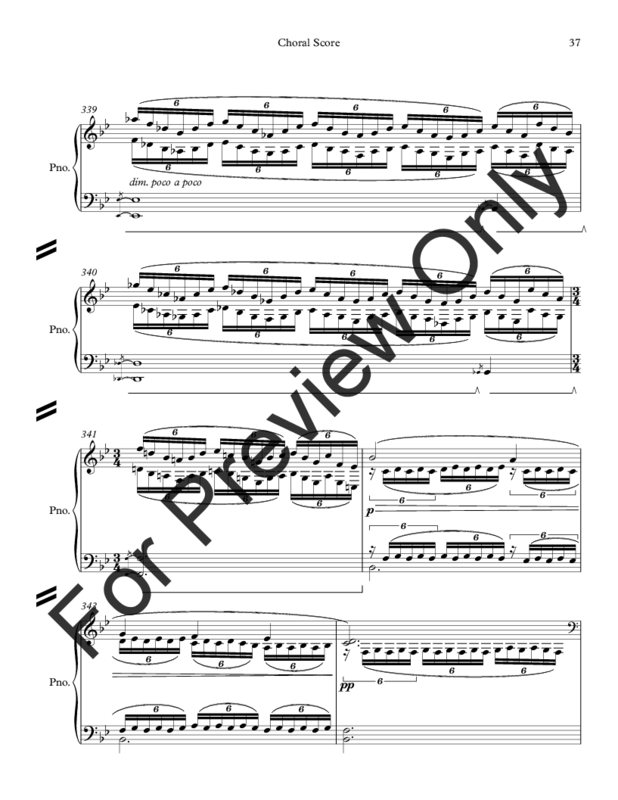 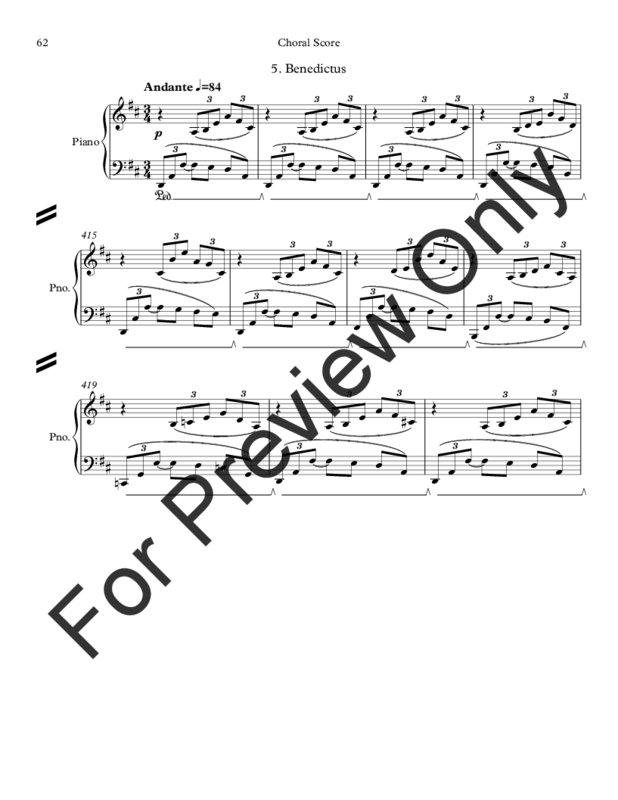 Total performance time is 25:45, but each movement can be used individually as Preludes, Anthems, or Offertories.